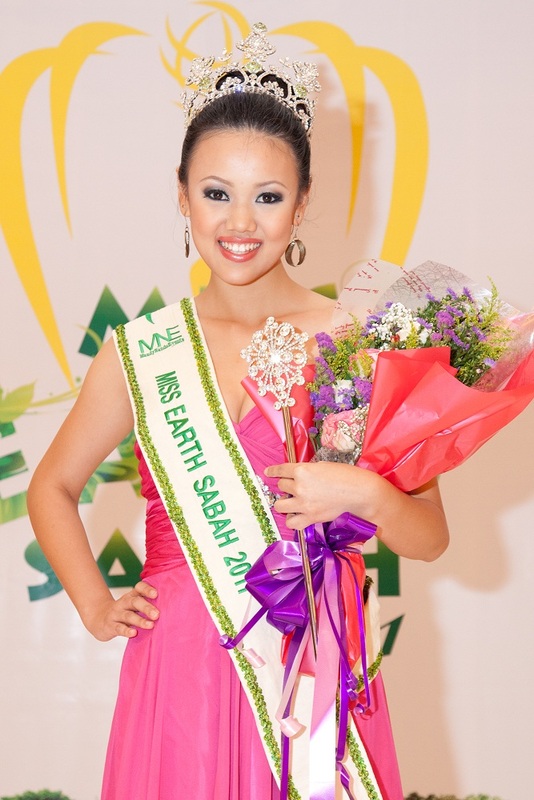 I've only heard of Miss Earth Sabah beauty pageant last year when my sister asked me to vote for her friend who is the current reigning Miss Earth Sabah 2011 queen - the very beautiful and brainy Ms Olivia Vun. I had the opportunity to talk to her and she was indeed an amazingly warm and down-to-earth lady. No doubt deserving her win last year. 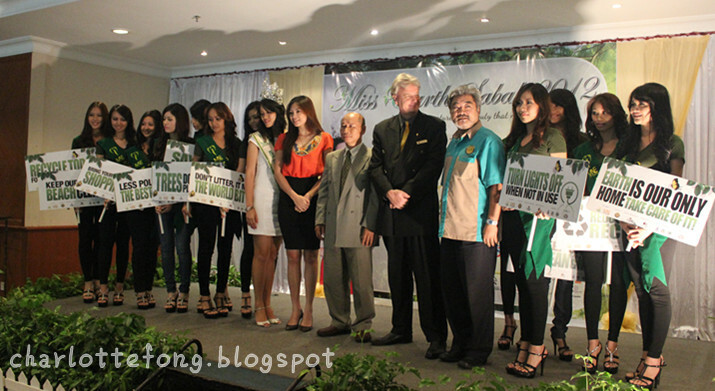 When I was asked to attend the Press Conference of the Miss Earth Sabah 2012 at Sutera Harbour yesterday, I thought to myself : "Urghhh.... ANOTHER beauty pageant?! " 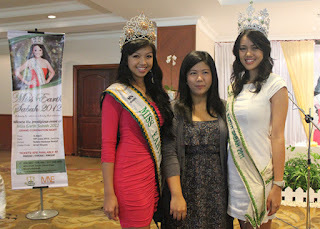 I had an extremely bad experience with witnessing a beauty pagent and i was left disgusted and sorely disappointed. Read all about it in my previous post by clicking this [ Link ] . But, knowing my good friend Mr Rungitom who is into alot of great quality events, i decided to face my fears and accepted the invite. I've been to a few of Mandy Nandu Events (MNE) and i must say, good and honest work always translate to good events. This beauty pageant is definitely no exception. 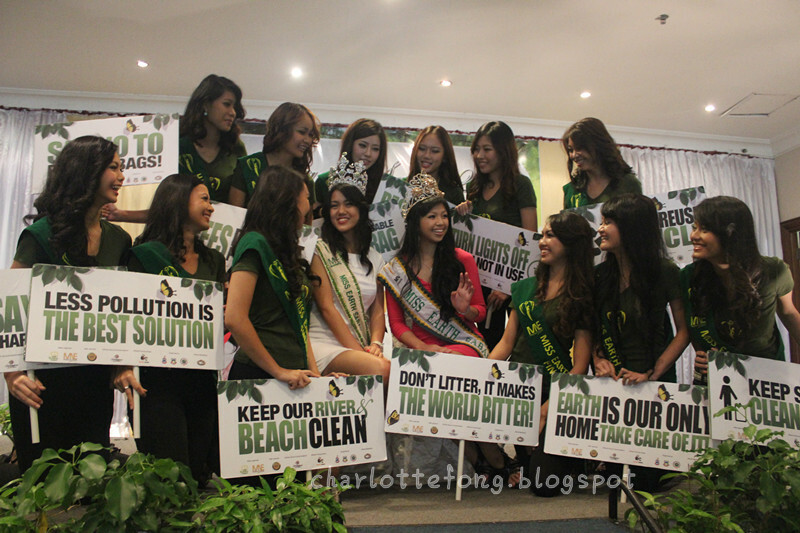 What i really like about this beauty pageant is that, it doesnt only focus on how pretty the young ladies are, but how much they cared about the environment, especially Sabah's environment. It has got be a great event when you have the Minister of Tourism, Culture and Environment, Datuk Masidi Manjun approval and support. Great job and heartiest congrats to the Organizing team! 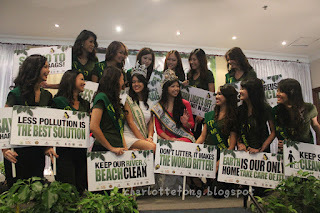 Miss Earth Sabah aims to highly and practically educate the young girls in Sabah to help create awareness for themselves, their families and especially the community of Sabah to be more serious in saving and protecting the environment. Throughout the competition, apart from enrolling themselves in programs that emphasize strongly on environmental protections, the participants are also required to attend various environmental activities, where they are given the opportunity to practice and voice out their green thoughts and ideas. Besides that, this event also aims to showcase and promote various tourist destinations in Sabah. Meeting a few of the finalists yesterday and talking to them made me feel really glad and somewhat relieved. Finally, something i have always been wishing to see at beauty pageats....beauty with brains. And of course, i love a girl with a caring heart. I'm hoping for great change and these girls can definitely help us to be more aware of issues that are close to their hearts and should also be close to ours. With their "No Plastic Bag Challenge" that was held at Giant Hypermarket in Citymall, the twelve finalists put their skills of persuasion to the test as they try to convince as many shoppers as they can to use an eco-bag instead of a plastic bag. An activity and event that is truly something different, interesting as well as beneficial to all.Many thanks to www.borneocolours.com for this opportunity! Love it! Check out their official Facebook Page for the latest updates! Hi Charlotte! My name is Pung Sha-Lene, also known as the blogger behind YourShoppingKaki.com. I'm an Honours student at Monash University, Sunway campus here in Malaysia. I'm contacting you because I would love to interview you as a part of my dissertation about Malaysian female bloggers. My research is targeted to be a semi-pioneering paper about how young Malaysian female bloggers - such as yourself - use their personal blogs to represent and construct their identities. I couldn't find your e-mail contact, so I thought I'd leave a comment hoping you'd e-mail me at pungshalene@gmail.com so I can send you more information about the research - before you decide whether or not to participate as an interviewee. :) Hope to hear from you soon, thanks!